Reno, known as the Biggest Little City in the World, is a year-round, “experience all four seasons” destination. 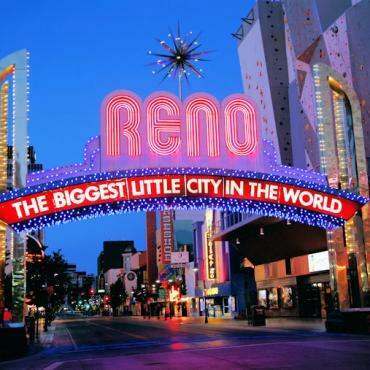 8 hours north of Las Vegas, 3.5 hours east of San Francisco, and only 1 hour from Lake Tahoe, Reno is perfectly situated for a fly/drive, multi-centre holiday. 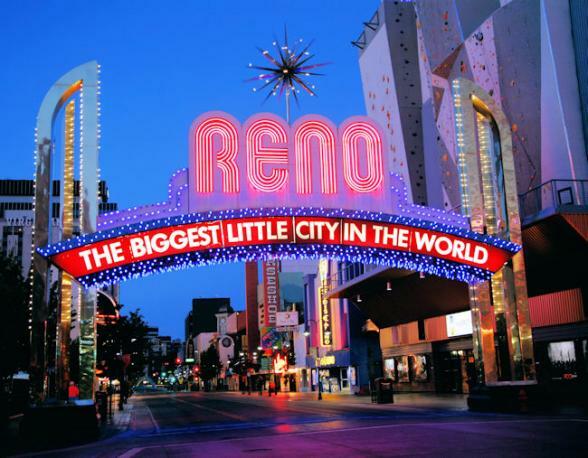 Prior to the late 1950’s, Reno was the gambling capital of America. There are still plenty of gaming opportunities, but the feel of Reno is now more about the outdoors and culture. The newly rejuvenated downtown and Riverwalk area is host to great shopping, dining, and nightlife right along the Truckee River. Plus, world-glass golf, a vibrant arts and culture scene, fascinating wild-west history, relaxing spa retreats and festivals through-out the year all with the Sierra Nevada as a backdrop – now that’s what we call a holiday! A lovely resort and ideal base for exploring historic downtown Reno.